Attorney Jason Ponder has many years of experience handling probate, wills, trusts, and inheritance issues in the Orlando, Florida region. Mr. Ponder does consistent, excellent work with all of his clients and considers this area of law to be critically important. He is available for free, confidential consultations. Our office is conveniently located in the Metrowest area, near Dr. Phillips. Call us today to schedule an appointment. We are looking forward to helping you with your situation. Gives you the support you need at this difficult time of your life. Unfortunately, far too many people neglect to engage in any type of estate planning in the state of Florida—and across the nation. In fact, an astonishing 51 percent of Americans between the ages of 55 and 64 don’t have even so much as a will. Overall, 64 percent of Americans including those from as young as 18 to those as old as 100, do not have a will. This figure is actually up from 57 percent in 2011, apparently signifying that even fewer adults in America take estate planning as seriously as they did four years ago. Dying without any type of estate plan, even a will, is known as dying intestate. When you die intestate, all bets are off as far as who will inherit your assets. If you die with minor children, the state of Florida will choose guardians for those children. If you were single and childless, the state of Florida will determine which of your relatives will inherit your assets. Hopefully, if you were married with children, your surviving spouse and children will inherit whatever is left of your assets after it goes through Florida probate, but this is not an absolute certainty. There are many myths associated with estate planning; following are some of the more common myths. Only the wealthy have to think about estate planning. This may well be the most perpetrated estate planning myth around. Even those who may not have a large bank account, probably still have a home, life insurance, vehicles and personal possessions which probably add up to much more than they think. Further, estate planning is about much more than just money. Estate planning is making sure your finances are taken care of should you become incapacitated, making sure your health care decisions are carried out according to your wishes, and that your loved ones are financially taken care of following your death. Estate planning, far from being reserved for the super-wealthy, is, in fact, for everyone who could become ill, incapacitated or will die, which is…everyone. Estate planning is only for the middle-aged or the elderly. Unfortunately, being young doesn’t protect you from every bad thing in the world. Unexpected tragedies can and do happen, regardless of age. Aside from thinking about the unexpected in this world, an estate plan is about much more than death. Documents such as a HIPAA Authorization or a healthcare directive are useful any time you find yourself in the hospital, are unable to sign legal or financial documents on your own, or if you have minor children. If I’m married I don’t need an estate plan. If you are married you may have less of a need for estate planning, but this doesn’t give you license to skip it altogether. Normally, all property held by you and your spouse jointly will pass to your spouse upon your death. That being said, there is almost always a “what if,” even in situations which are nearly perfect. As an example, what if your surviving spouse gets remarried? Are you okay with the idea that the home you worked for most of your life eventually ends up with this new spouse’s children, or would you rather your portion goes to your children, your parents or your siblings once your spouse is deceased? What if you and your spouse die in an unfortunate accident at the same time? In the end, whatever your age and whatever your marital status, you could benefit from doing at least minimal amounts of estate planning. Okay, so I’ll write up a quick will and I’ll be done. Not so fast! While a simple will might be better than nothing at all, you can do so much better. First of all it is important to know that the state of Florida does not allow holographic wills, which are wills written entirely in your own handwriting, and signed only by you, with no witnesses. In order for your will to be valid, it must be signed at the end by the testator (the person writing the will), in the presence of two witnesses. The two witnesses must be in one another’s presence while signing as witnesses. The state of Florida also does not accept nuncupative wills, which are oral wills—even if they are videotaped or posted on YouTube. So, even if you decide a simple will is sufficient, be aware there are specific rules to be followed if you want it to be valid at the time of your death. If you want only the basics, and you are okay with your estate having to go through probate when you are gone, then a simple will—properly prepared and executed—might be enough, assuming you have a very simple estate to dispense with. Estate planning is about money—nothing more. Estate planning is about people, rather than money. Of course your assets are being distributed upon your death, so it is somewhat about money, but if you look at the big picture, estate planning is all about doing what is right for the people you care about. Not only does a well-thought-out estate plan save your loved ones from a lengthy, public probate process, it also reassures those left behind they are doing what you would have wanted. Further, many people are able to express certain things in their estate plan they may have not been able to express in life. If I have a will, then my family won’t have to suffer through the horrors of probate I’ve heard so much about. Unfortunately, this is not true. Your will is only a set of instructions the probate court will use while administering your estate. Upon your death, the person you have nominated as Executor or Personal Representative will petition the court in order to have your Will admitted to probate, which can take from several months to as long as two years, depending on the specific circumstances surrounding your estate (how much you owe, whether all the beneficiaries can be located, whether there are minors involved, etc.). If you truly want to spare your heirs the probate process, you need to have a living trust prepared. It doesn’t matter whether I have an estate plan or not, my spouse will get everything anyhow. This is only partially true. In the state of Florida, if there is no pre or post-nuptial agreement, your spouse is entitled to 30 percent of your gross estate for any of your assets which are not held jointly. Even if you specifically exclude your spouse from inheriting any of your assets, and choose not to name them as a beneficiary on your life insurance, your spouse still has the legal right to elect against the will and receive their 30 percent. If I don’t want to leave anything to one of my children, I just have to specifically leave them $1 in my will. Not true in the state of Florida. To disinherit a natural heir from your estate, you must only use specific language which excludes them, or you simply leave them out of the will altogether. Some people also think if you have a special needs child or special needs beneficiary, you must, in effect, disinherit them in order for them to continue to receive necessary SSI or Medicaid benefits. Rather than disinheriting a special needs beneficiary, you can include a Special Needs Trust or Supplemental Trust in your estate plan which will allow the disabled beneficiary to continue to receive necessary public benefits, while allowing you to provide for needs above and beyond those provided by the state or federal government. My children are very responsible and will do the right thing after I’m gone, so I don’t need an estate plan. Unfortunately, no matter how much trust you have in your children or in one child in particular, when money is involved, and when there is more than one person involved, even the most responsible person can run into stumbling blocks with no clearly defined outline to follow. Far too many people have left their entire estate to one child, with the “understanding” that child will share with the rest. In fact, the “responsible” child has no legal obligation to share with the others, and if he or she is given a particularly hard time by the others, could well decide not to do so. Some parents also put one child’s name on their bank accounts simply to avoid probate, perhaps not realizing that child becomes the sole legal owner of the account upon their death. Make it easy on all your heirs by leaving clear instructions on who you want to receive what asset. Going to an estate planning attorney is not only unnecessary, it is too expensive. While you can possibly prepare your own estate plan, the issue is whether you should. There has been case after case of a person making one simple mistake in their estate plan which ends up wreaking all sorts of havoc after their death. Unless you have an extensive legal background in Florida estate planning, the chances you could leave out a crucial item, or make a relatively minor mistake is high. Why take the risk? Would you get instructions off the Internet and perform your own gallbladder surgery? Of course not! Use that same judgment and let an experienced Florida estate planning attorney ensure your estate plan is perfect for you and your situation, and is legal and binding. If I have minor children, I can just name my young child or children as beneficiaries on my life insurance, and write out on a piece of paper who I want the guardian to be. Sounds pretty simple, right? Unfortunately, one of the most common mistakes seen by estate planning attorneys is the failure to properly plan for the future of minor children. If you would be totally dismayed at the state of Florida choosing a guardian for your children, then consider at a very minimum having a will with a testamentary or revocable trust so your children will be taken care of how—and by whom—you choose. If I have a living trust, my heirs can avoid any estate taxes. For the vast majority of us, there will be little or no estate taxes to deal with, no matter whether there is only a will, there is a living trust, or there is no estate planning at all. In the simplest terms, there is no estate tax on up to $5.43 million you can leave or give away, and since this figure is indexed for inflation, it will likely increase in the future. Since nearly 99 percent of the population will not have that large an estate to deal with, those estates will owe no federal estate tax upon their death. If you made taxable gifts during your lifetime, your personal $5.34 million exemption will be reduced by the amount of those taxable gifts. If I die without a will, the state of Florida will take all my assets. If you should die with no will, trust or other form of estate planning, the state of Florida will apply its laws of intestacy to determine who will get what. A surviving spouse and children are high on the list and are likely to inherit the bulk of your estate. If you have no surviving spouse or children, your estate will pass to your next of kin, which could include siblings, parents, or even nieces, nephews, aunts or uncles. In very rare cases, if you have absolutely no living relatives of any sort—even down to a third cousin twice removed—your property could end up with the state. The state must follow certain rules, and cannot simply distribute your assets willy-nilly, or keep them in the state coffers. There are many more myths associated with estate planning. If you want to ensure your estate is planned in the best way possible and that your true wishes will be followed after your death, speak to a knowledgeable Florida estate planning attorney sooner rather than later. Our Attorneys Are Ready to Fight for You! We hired Jennifer to help us resolve a painful divide in our family, hoping to bring long lost members together again. No matter the time zone difference from across the world Jennifer still accepted to help us on our family’s case. She was very patient with the exchanging of files back and forth over email, scanning, and faxing. Even the rates were very affordable, very decent compared to other Orlando firms. After a few months, due to her hard work we accomplished big steps in our case. We travelled half way across the world to meet her in Florida and she was so gracious and hospitable. Advocating on our behalf, she did an impeccable job consulting with a State Attorney and many other professionals. She, her staff, and her firm are heroes for our family and our entire nation. She is going to court on our behalf today, half a world away. We feel like she is part of our family, advocating for us so dedicatedly. Thousands of people all over the world followed our story on national news networks and on social media. Jennifer’s outstanding work should be lauded and sought after by families who are seeking counsel to reunite with other family members through the legal process. Thank you Jennifer, your staff, and your firm, you’ve been a blessing to our family, our clan, and our nation. 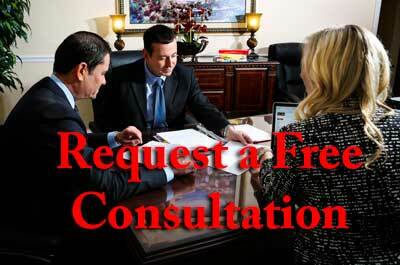 Free Consultation is limited to individuals considering hiring an attorney. Not all situations qualify. Fee charged for appellate case evaluations. We hired Jeana to handle a case for us in Florida because we reside in the state of Arizona and she was great! We actually hired her several times to handle a family matter for us, and she never failed, she fought hard for us and we are grateful to have found an honest attorney that we could depend on to work for us and do the work that we asked of her without hesitation. Do NOT go to a second rate attorney for any legal needs because you will find out as we recently have, that you get what you pay for!! We would definitely hire her for any future problems arising out of the state of Florida! Ayo and Iken is a Florida law firm helping clients with family law, criminal defense, bankruptcy, employment & wage issues, immigration, and personal injury. Florida Attorneys Howard Iken, Alberto Ayo, Jeana Vogel, Jason Ponder, Bruce Przepis, Claudia Blackwell, Jennifer Schulte, Howard Ellzey, Lee Feinberg, Jason Coupal, Paul Moyer, James Wimsatt, and Crystal Phillips are here to provide you with loyal, aggressive representation at this difficult time in your life. Get a Free Consultation Now !